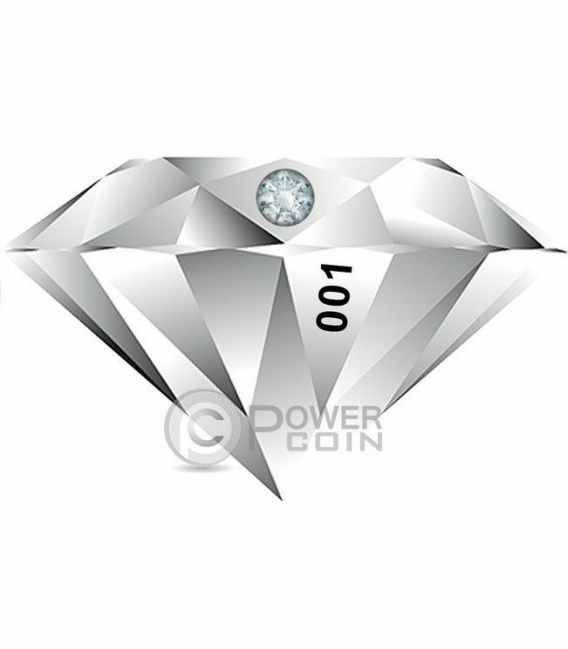 This stunning coin represents a diamond, symbol of elegance and class. 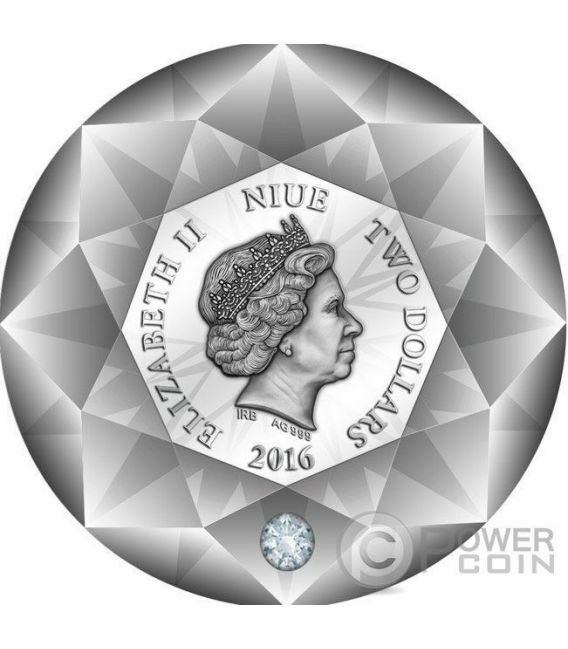 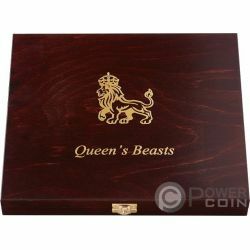 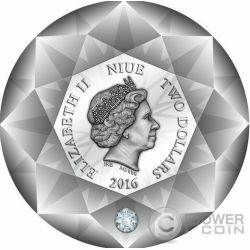 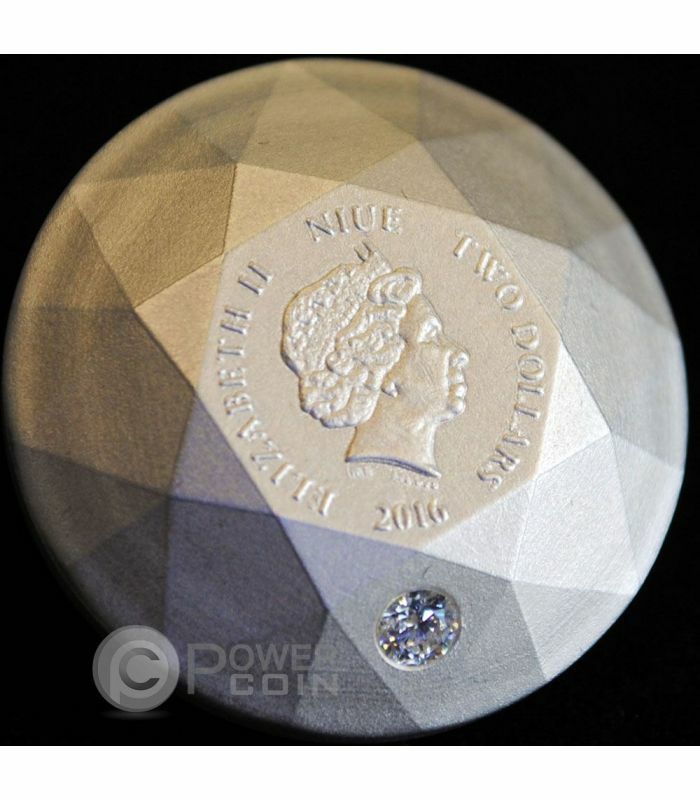 The minted coin has 32 facets, 1 table with the effigy of HRH Queen Elizabeth II and 24 lower facets just as a diamond. 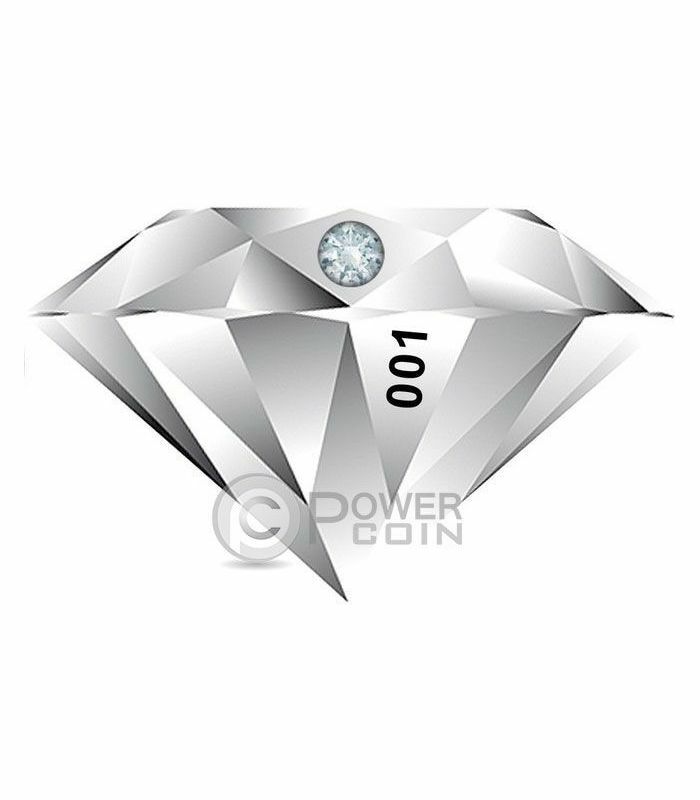 One of the lower facets additional include a real Diamond 0.1ct Top Wesselton Si1 Brilliant Cut. 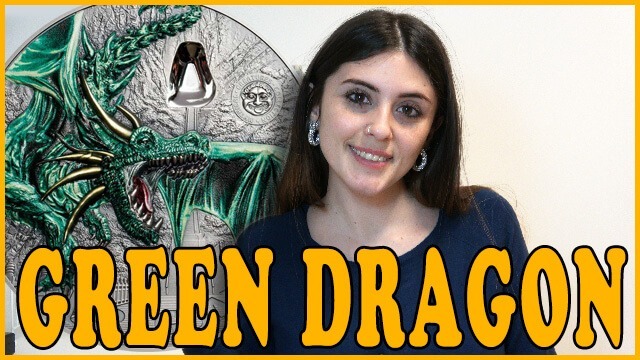 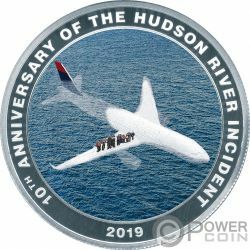 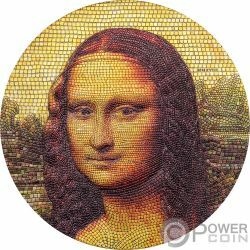 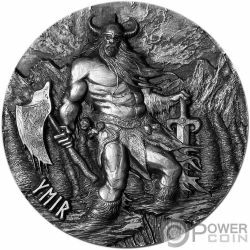 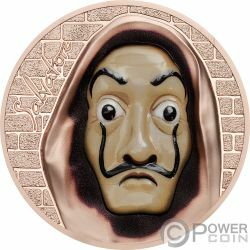 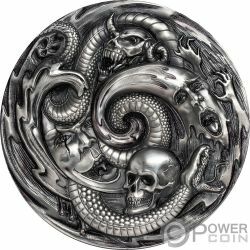 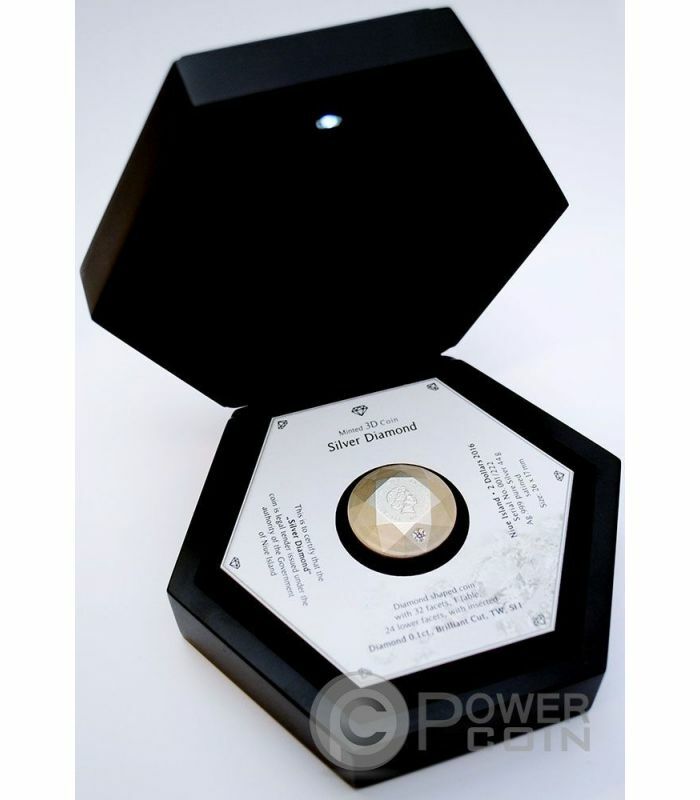 Each coin has a lasered serial number on a lower facet and the matching number on the Certificate of Autenticity. 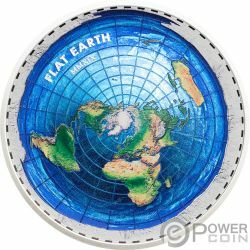 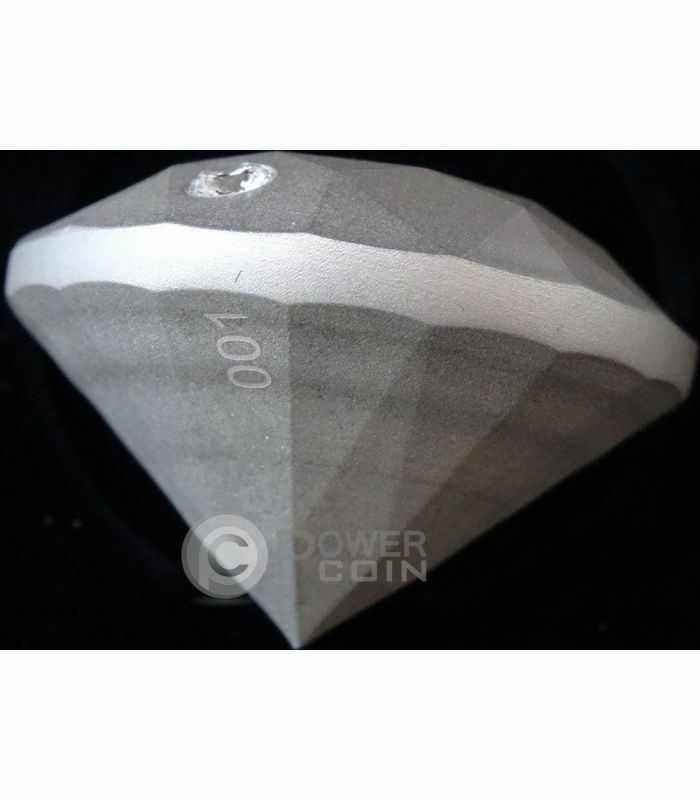 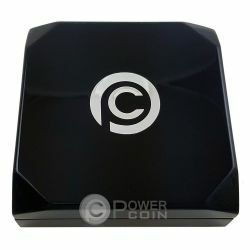 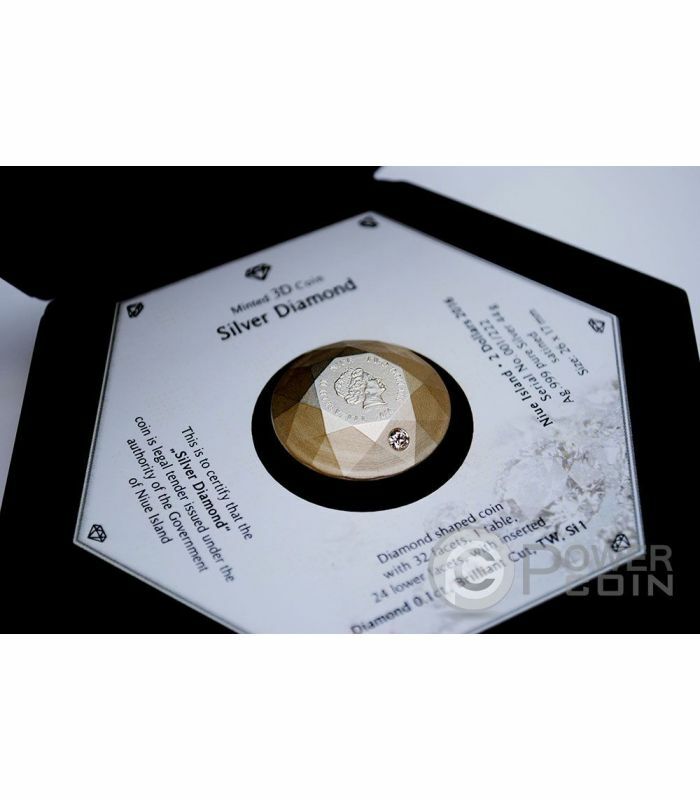 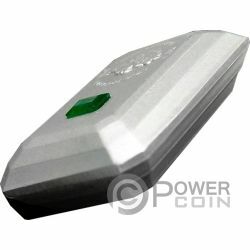 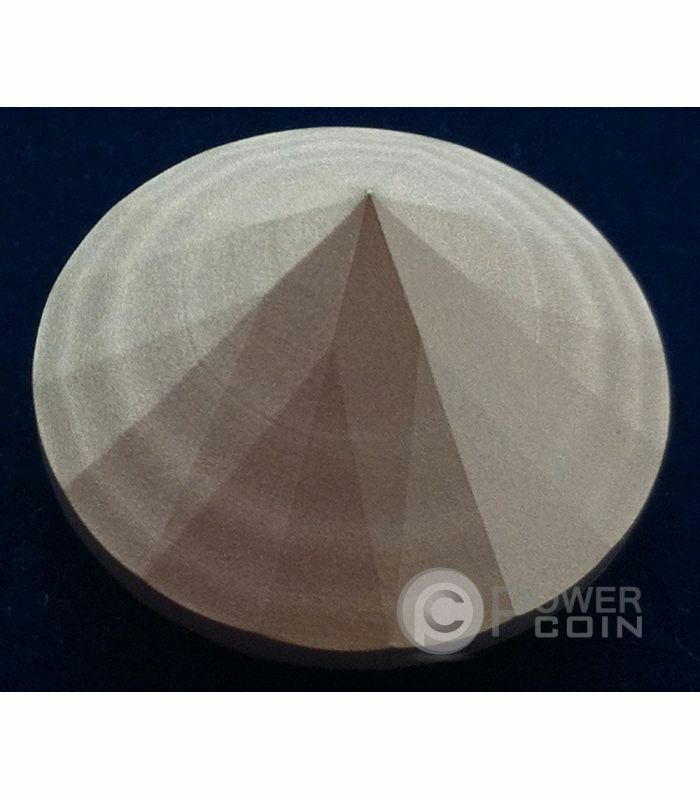 The 3D Diamond Coin is presented in a special hexagonal wooden box with LED light inside. 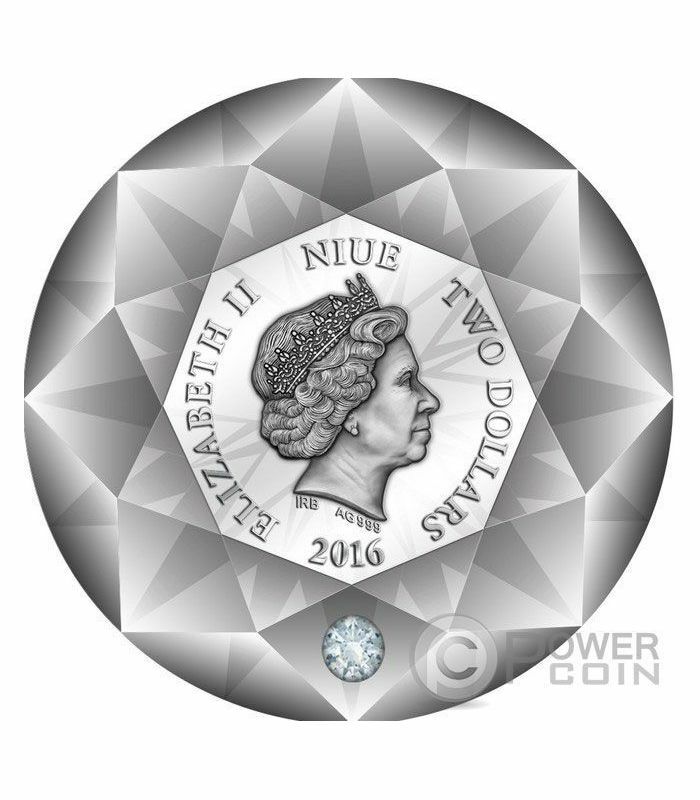 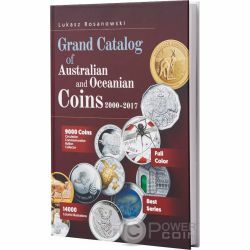 On the coin are also the inscriptions: the face value: “Two Dollars”, the issue country: ”Niue” and the issue year: “2016”.